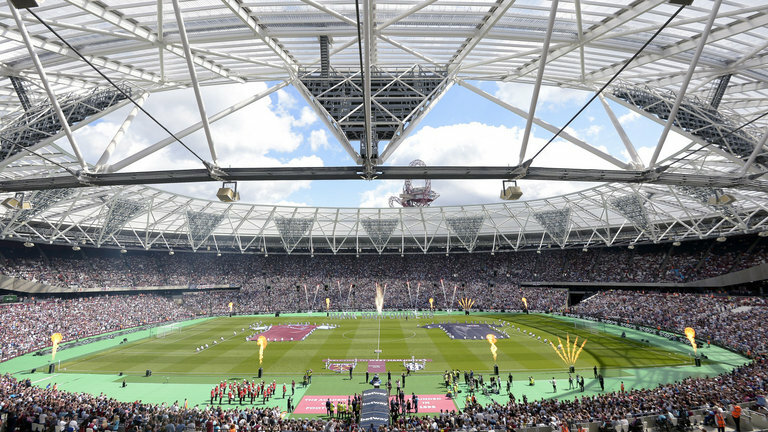 West Ham’s Next Level – Why aren’t we there? How we can achieve it? I, like most fans, was very wary of our move away from Upton Park, but got behind it as we were sold by the board that it would take us to ‘the next level’ getting ‘champions league football in 5 years’ and all the other unfulfilled promises/lies. A season and a half into it, we are in a relegation battle and have only gone backwards from the last season at Upton Park. In this article I want to explain what I think is going wrong, and what needs to change in order for us to get there in the future. It seems to me that we are a very reactive club, always fixing problems, filling in holes and papering over the cracks. Our lack of forward planning is laughable to me and we will never progress if we are constantly putting out fires. First of all, the London Stadium move epitomises this. If they had planned the move properly in the first place, then they would not constantly be having to resolve issues now, for examples poor stewarding, segregation issues and distance from the pitch. On the footballing side of things, we had a defensive and what some fans would say, ‘boring period’ under Allardyce. Then when the fans weren’t happy, and the board wanted a manager with more of an attacking strategy, we appointed Bilic. This worked well initially but then we started conceding too many goals and he eventually lost his job. Now we have made a safe move with Moyes, whose first job has been to sort our defence out. But due to his six-month break clause, this leaves the fans wondering what will happen next. This shows another quick fix decision being made by the club without any long term goal in mind other than avoiding relegation. Another reactive move seen by the club, has been through its recruitment policy. When moving into the new stadium we bought over 10 players in, most of them were young and had not played in the league e.g. Masuaku, Tore, Fernandez, Calleri and Martinez. It was a tough season to join, given it was the first season at a new stadium and expectations were high, and most of them did not work out, perhaps they were not given enough chances, but without going into specifics, the club thought this policy failed. As a result of this, they altogether changed their transfer policy, if we can even call it that, more like changed their mind, and thought experienced players who had played in the league is who they should recruit. So, Snodgrass and Fonte came in January, followed by experienced pros such as Hart, Zabaleta, Arnie and Hernandez in the summer. Now, without going in to detail about each player and whether they were good signings or not, the board have gone from one extreme of buying lots of cheaper, younger inexperienced players to a selective few of older experienced premier league players on huge wages. Where is the continuity? What plan is that following? There seems to be none at all and shows a complete lack of a footballing philosophy. More evidence towards the club’s lack of forward thinking, is their choices to buy good, established players, without thinking about how they could fit into our current team. For example, it was quite apparent that we needed a striker and Javier Hernandez is one of the best finishers in world football. But for him to thrive you need to play a style he is suited to and give him opportunities in the box so that he can finish. So what is the point in playing him when we are still lumping balls up to Carroll or playing him as a left winger? Ayew is another example of a good player, but it is hard to see where he fits into our team, and where his permanent role should be. Now, it’s right to discuss managing styles, and the right structure for our club to adopt to secure a positive future. Fergie was a manager that controlled every aspect of the football club, him along with Wenger are the old school type of managers who kept complete control over club decisions. When Fergie left, and the club had a succession of managers who also had full control of the football club, each one left a team of a mish mash of players from several managers ideologies. When you look at Palace who had a squad built mainly by Allardyce on big, quick and physical players who were used to a direct style of football who then made wholesale changes trying to adopt a total football approach they failed miserably and sacked the manager. At Southampton, in comparison to the previous examples, their technical director Les Reed sets a precedent of scouting and developing youth players. They are given chances in the first team and set a style of football which they want to play. Even though they have a high turnover of managers, when a new manager does come in there isn’t massive changes in terms of player recruitment and how the team plays due to the solid philosophy engrained in the club which is easy for new managers to continue. They have consistently finished in the top 10 and if it wasn’t for the owners selling their best players they would without doubt be a top club knocking on the door of the Champions League. Looking at our set up, it appears there is a mix of the manager, Tony Henry and David Sullivan controlling footballing decisions. With 3 people having an input it seems like there will be a lot of conflict and unaccountability for when things go wrong. Following this model, I can’t see us finishing any higher than 8th at absolute best, with relegation as a more realistic option than finishing in the top 10. The whole board in vs board out argument is for another day, but the fact is they are here to stay for the foreseeable future and we must find the best way of working with them. No matter what you think of David Sullivan, he is a very successful businessman and owns the club he supports. But no matter how much he loves West Ham and wants us to do well, he is not a football expert and quite clearly follows no solid philosophy or plan. I think he has way too much say on the footballing aspect of the club and needs to solely focus on the negotiations and the daily running of the football club, on the business side of things, for our successful future. My first memories of watching West Ham as a little kid were seeing Joe Cole, Frank Lampard, Rio Ferdinand, Michael Carrick and Glen Johnson gracing the pitch. Since then it has been pretty appalling other than Noble and Tomkins. I would love to see us appoint a technical director who would invest heavily in youth and try to get back to this era. For this to happen, David Sullivan would have to step aside from these current duties and give the director a remit to make our academy great again and set a president for the certain style of football they want… the West Ham way? The best example of this has been at RB Leipzig. They had a vision of creating a football team to match their brand of energy drink. Very energetic, fast and exciting to watch. They then hired Ralph Rangnick as the sporting director. Working from these principles, he hired a manager to best achieve these goals – Ralph Hasenhüttl. They then had a specific transfer policy of only signing players from 17-23 so they can be moulded into the philosophy of the club and have the legs for the furious tempo they like to play at. After only being formed in 2009, they were promoted into the Bundesliga last season and came second behind Bayern Munich. They subsequently qualified for the Champions League which is an unbelievable achievement and shows what can be done through thorough planning and commitment to an objective, instead of being the very backwards and reactive club we are now. To reemphasise my point, Monaco are another team that have done a similar thing in France and won their league. They have an excellent scouting network set up and a manager who is willing to give them game time and develop them into world class players such as Mendy, Bernardo Silva, Mbappe and Lemar. Ultimately, we are never going to have the money to buy the best players and compete with the big clubs, so the way I see it, for us to get to this next level, we must buy young prospects and develop them into great players. We will then keep them on because they want to play for us and buy into the vision that needs to be set by a passionate sporting/football/technical director. 100 % agree and have been saying the same thing for a years. Need to but up and coming (promising) youngsters who we can mould and develop and have re sale value rather than hired mercanaries who are only after one last pay day.